For some, it’s on a personal level, making resolutions and committing to new habits to replace old undesirable ones. For others, it’s more outward, starting the new year with new things: a change in wardrobe, a makeover, or, for techies, an upgrade to their phones, laptops, and what not. But doing these can cost a lot, especially when it comes to gadgets. There’s also the added temptation to splurge given the extra cash we get from holiday bonuses. One must not lose sight of things, though, upgrading doesn’t have to break the bank. 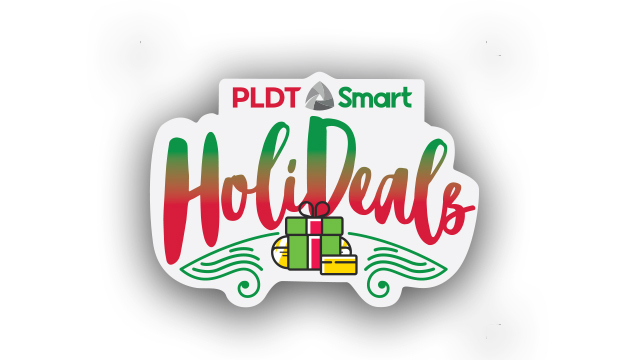 Good thing PLDT and Smart are throwing their biggest Christmas blowout yet with the PLDT-Smart Holideals to get your new year’s wishes while still being money-wise. The newest and top-of-the-line iPhone series is already out in the market. Both the iPhone XS and its bigger brother, the iPhone XS Max, boast of having the smartest and most powerful chips in smartphones today. And understandably, having heavy specs come at a high price. But did you know that you could get these phones with great discounts if you’re a Smart Postpaid customer via the network’s data-packed GigaX Plans? The best part is, you can avail of these deals whether you’re a new or reconnecting subscriber! Fancy Android over Apple? Don’t worry, there’s a deal fit for you. Get a Samsung Note 9, Samsung’s newest smartphone designed for multitaskers. It comes with the revamped S-Pen and the Samsung Dex, which can give you a PC-like experience all with a single cable. With PLDT-Smart’s Holideals you can even avail of the Limited Edition Frosted Lavender model, as well as a free Samsung Tab A if you get the 128GB Note 9 model. You can also enjoy exclusive deals when you get the much celebrated and feature-packed Huawei Mate 20 or Huawei Mate 20 Pro with the data-packed GigaX Plans. It’s the Christmas break–the perfect time to binge on all those shows you missed and finish all those games you left hanging. You may need an internet connection that can keep up, right? For a limited time only, you can sign up for PLDT Home Unli Fibr Plan 1899 to enjoy speeds of up to 25Mbps, and save as much as Php3,600 with free installation and activation fees and zero cash out! With all things upcoming this holiday season and in 2019, who has time for slow internet? It’s the age of interconnectedness, so maybe this new year it’s time for your home up the ante a little bit. Make your TV streaming-ready with the new PLDT Home TVolution Lite powered by Roku®, the latest streaming device that lets you turn your TV into a digital entertainment powerhouse for only Php99 per month on top of your plan. Sleek and powerful, the upgraded streaming device gives your whole family easy and convenient access to all your favorite content on Netflix, Cignal, iflix, Fox+ and YouTube. Whether it’s a treat for yourself, your friends, or the whole family, these Holideals let you achieve your tech wishes without emptying your wallets.